Lights, camera, MAP-tion! 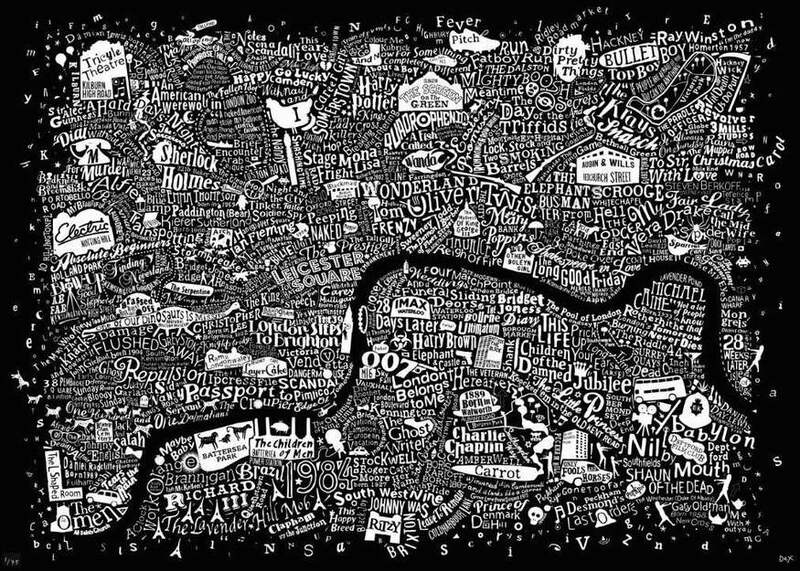 Innumerable films have been set and shot in London, and this incredible map — by Dex @ Run For The Hills — is testament to that. 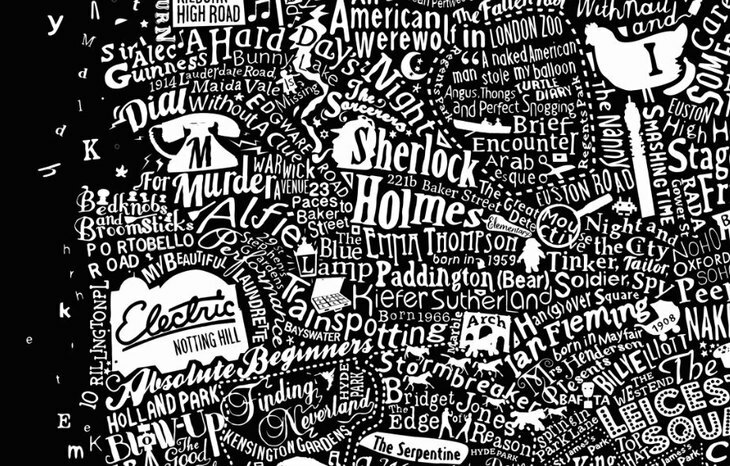 It's bursting with film and TV titles, stars of the screen, and the odd iconic cinema. But they've not been shoved any old where — oh no. 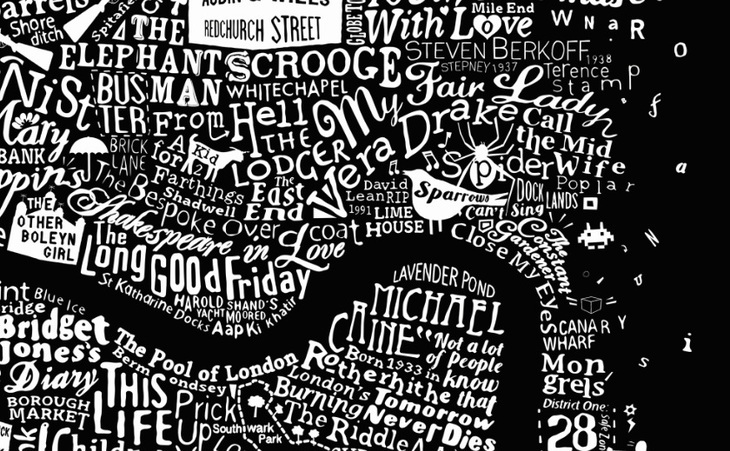 Each has been placed in the London location it's most associated with. Time for their close-ups. 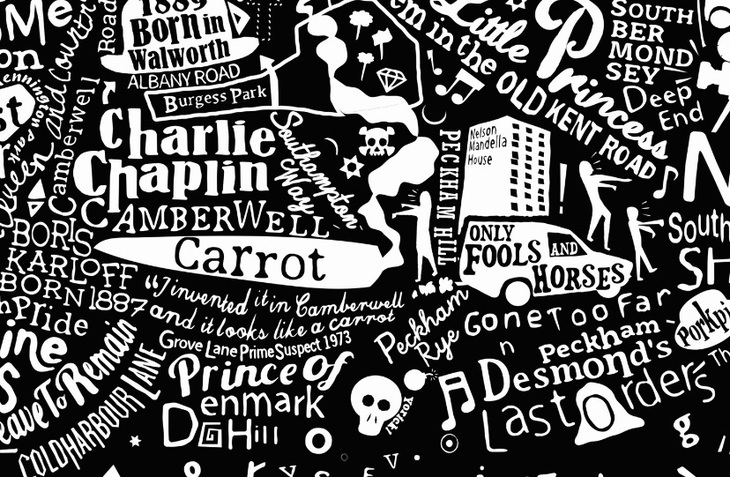 First up, in the south east, where we find the birthplace of Charlie Chaplin, the setting of Only Fools and Horses, and a reference to every stoner's favourite vegetable, the Camberwell Carrot. Out west, we find the home of Sherlock Holmes (how many films and TV programmes has HE been in), the beautiful Electric Cinema, Paddington (now who's that famous for again? ), and a nod to Portobello Road, from Bedknobs and Broomsticks. Out east, we find David Lynch's Elephant Man (based in Whitechapel), Call the Midwife in Poplar, and early Hitch film The Lodger, shot at Gainsborough Studios. 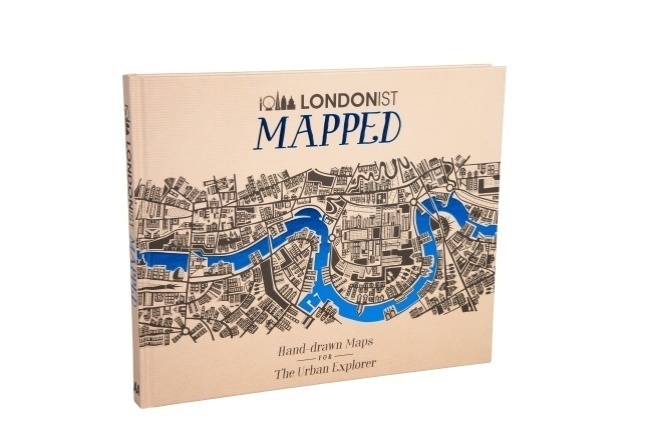 The map features in our book, Londonist Mapped, available now in hardcover. Visit the illustrator's website, or follow on Twitter.